“…not able to devote the time necessary … and must nevertheless be ready to execute difficult passages…” This, in a nutshell, is the quandary of the woodwind doubler. The Vade-Mecum is only six etudes (though some are as many as four pages long), but intensely focused. At this point I’m a long way from being able to play the whole book down in a half hour, but what a half hour that would be! Not especially exciting, but great for getting your fingers moving and ironing out little hidden weaknesses. Think this is easy? Think again. 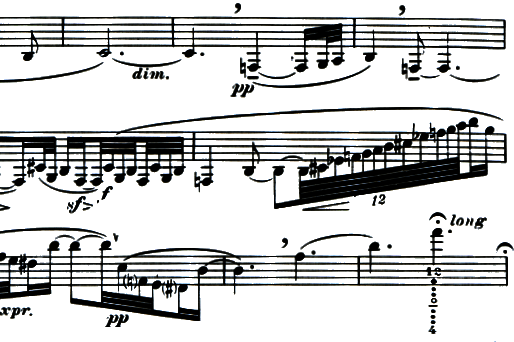 And finally an expressive etude. This one really covers a lot of ground—extremes of range and dynamics, varied articulations, long phrases, lyrical passages and technical hurdles, and more expression and tempo markings than you would expect to find in the entire book. It even calls for vibrato in one spot. The Vade-Mecum is a Leduc publication, so as usual it’s a little pricey for its 20 or so pages (currently $29.40 at my favorite source). But this is money well spent if you’re an intermediate to pro-level clarinetist and interested in a serious and thorough workout in a short time. You’ll need your French dictionary. The text is very specific about which keys to use, etc., and only the front matter is translated into English (and German, Spanish, and Italian). Here are a few important words to get you started. Corrections/clarifications welcomed in the comments as I am not a real French speaker. gauche = left; M.G. = L.H. droite = right; M.D. = R.H.
You’re on your own for the rest. Yes! I’ve used this study daily for years and consider it invaluable. Almost a “secret weapon.” Now the secret’s out! Thanks for stopping by, Jack! I clicked through to your website and enjoyed your audio clips. Sounds like daily Jeanjean is paying off for you. Hi Art, thanks for stopping by. I haven’t ever tried the Bobbit exercises, but I’ll hope to check them out at some point. Also try my website http://www.artmarshal.org. Ther you can liten to my quartet arrangements that are played all over Youtube. Do you know my Book Take Up Jazz? It is on cherry valley. The Bobbitt exercises are three note exercises and actually cover the Jeanjean LH and RH exercises. Are you familiar with all other works by Paul Jeanjean: 3 Cahiers. 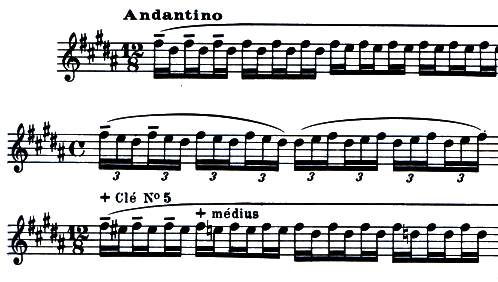 Etudes Progressives et Melodiques. His etudes with chord referrals? There is no country in the world that has systematized clarinet education in the way France has done. From the time of Klose, who introduced the Boehmsystem mid 19th century on the Paris Condervatoire. His method was written for that purpose. Perier, Jeanjean, Klose. 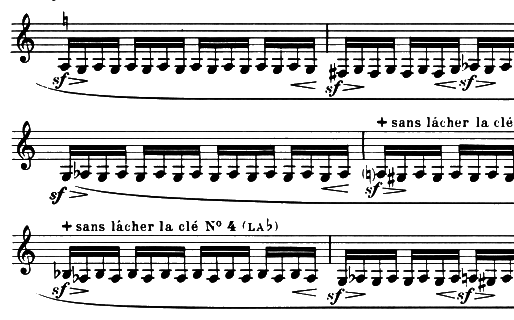 Every year the Conservatoire National de Paris invites composoers to write a Morceau de Concours (exam piece)Debussy’s Premiere Rhapsody was also a Morceau de C.
I was wondering what is the name of the peice in the last etude and who wrote it? I have seen that he mentioned something about berlioz, but I couldn’t understnad if he wrote/arranged it, and couldn’t find it in the internet. 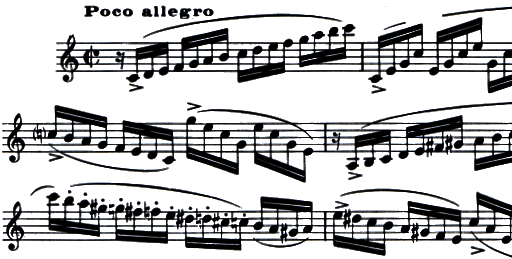 Jeanjean entitles it “Pour remettre l’embouchure en place et améliorer la sonorité” (To restore the embouchure and improve the tone). I don’t know of any reason to believe that Jeanjean didn’t write it himself. 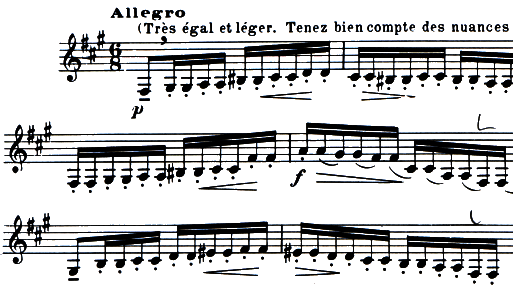 A marking at the beginning of the etude mentions Berlioz: “Dans son traité d’instrumentation H. Berlioz appelle: ‘Son crépusculaire’ l’écho de l’écho.” In his book on orchestration, Berlioz writes about the clarinet’s unique ability to play extreme pianissimo dynamics, what he calls “the echo of an echo” or a “crépusculaire” (twilight) sound. 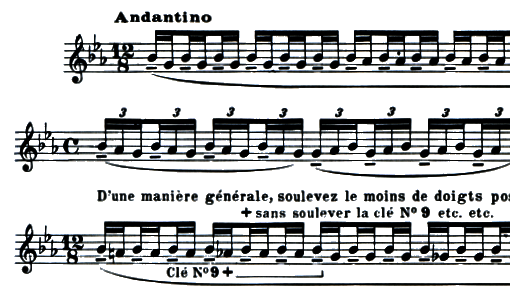 Jeanjean requests that very soft volume in this etude. Do you know of any similar books for doublers pinched for time for sax and flute? I can’t think of anything off the top of my head that is obviously analagous. You might try the Taffanel/Gaubert for flute and some selections from the Universal Method (Exercises of Mechanism, etc.) for saxophone. The Vade Mecum is a great book. I have used it for years. It really challenges your fluency on the instrument and gives a very intense workout. I think it is essential. Thanks. I had a look at the Modern Daily Studies Book 1 mentioned above and it has 21 exercises in 43 pages, LH (3), RH (3), Register key (1), Chromatic (1), Scales (1), Staccato (2), Grace Notes (1), Octave (2), Chords (4), and Etudes (3). I saw a youtube of Keith Ridenour talking about Kal Opperman and how in his lessons he used both the Modern Daily studies and the Vade Mecum. I also was thinking the Tafanel & Gaubert would be one to try for flute. Just 17 studies. For sax the most consise book seems to be the Klose 25 Daily Studies that some say is all you need.